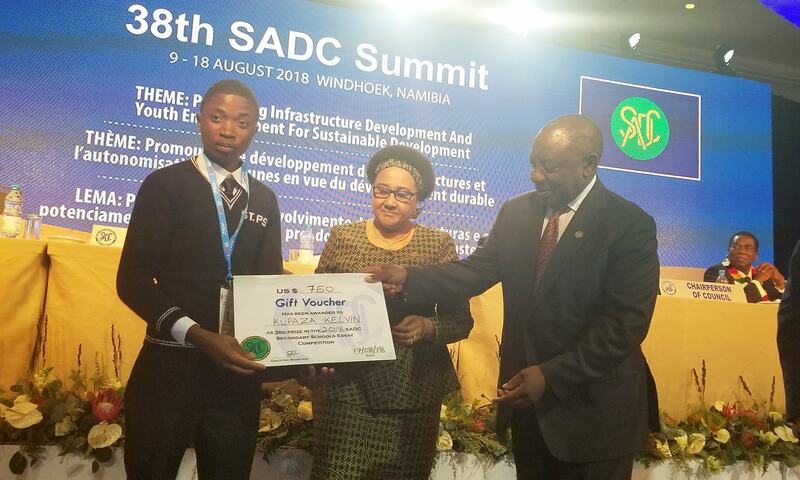 A Malawian student has won a prize in the SADC Secondary Schools Essay writing Competition. Kelvin Kupaza of St. Patricks Secondary School in Chiradzulu, Malawi won the third prize and has pocketed US$750 for winning the competition. 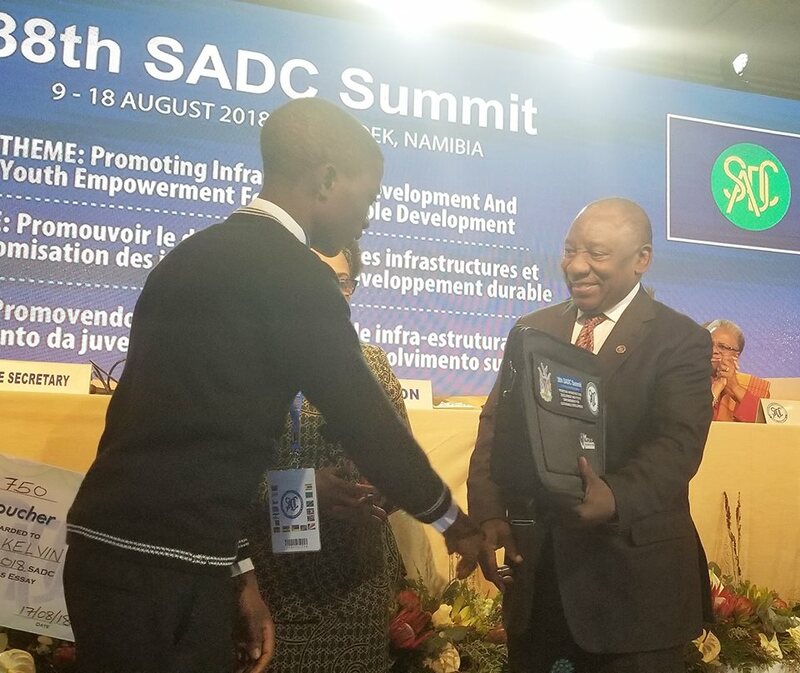 The prize was awarded by H.E Cyril Ramaphosa, President of the Republic of South Africa and the outgoing chairperson of SADC. 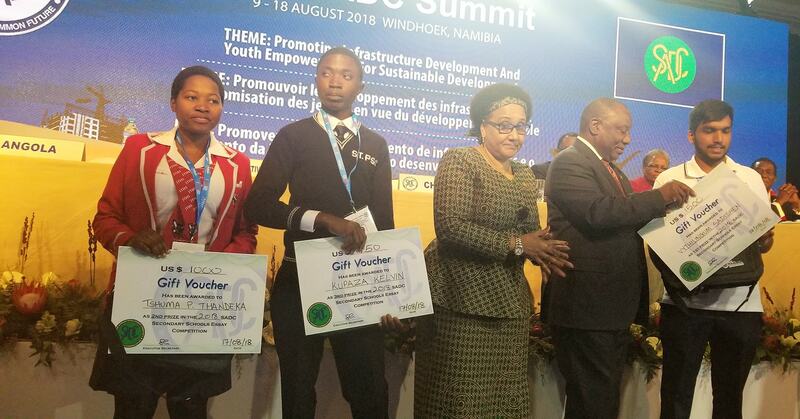 The topic for the essay competition was “Discuss how partnership with private sector can promote industrial growth and foster development of value chains in key priority sectors (such as agriculture, mining, health etc) among SADC member states”. The SADC Secondary School Essay writing competition is intended to broaden knowledge of the secondary school going population on SADC activities and encourage learners in the Region to understand the role of SADC and disseminate information on SADC in order to support the process of regional co-operation and integration. Last year, Paul Jiva of Malawi won the SADC Secondary school Essay writing competition on 1st position. Meanwhile the official opening of the the 38th Ordinary Summit of SADC Heads of State and Government is currently underway at Safari Conference Centre, Windhoek,Namibia. and Hon. Dr. Emmanuel Fabiano M.P, Minister of Foreign Affairs and International Cooperation is representing His Excellency Prof. Arthur Peter Mutharika, President of the Republic of Malawi.